This post may not be popular. It may also be controversial. But it comes straight from my heart. 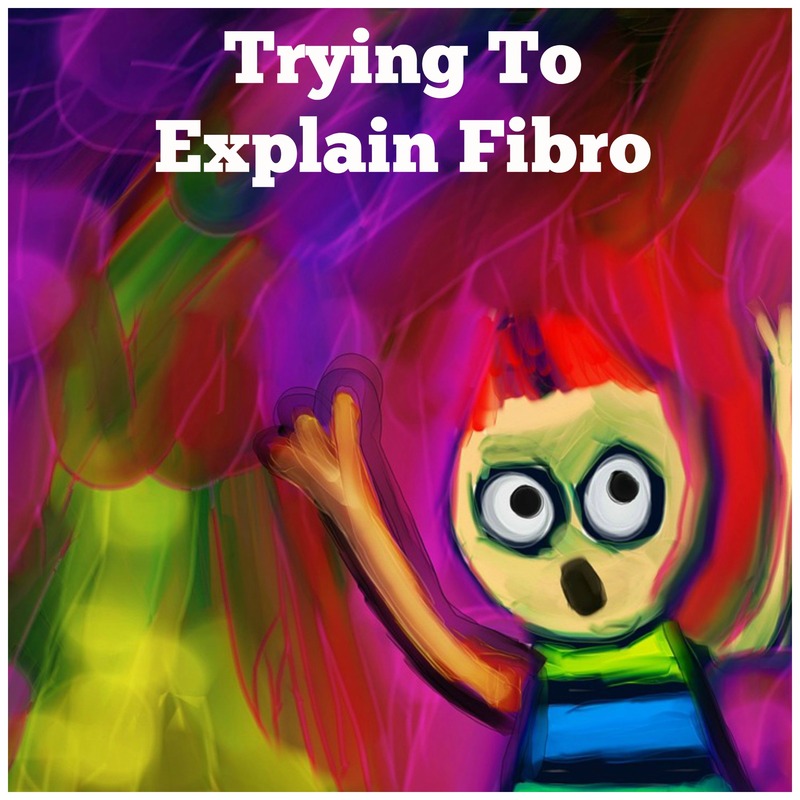 One of the most common complaints I see, from spending time in online fibromyalgia support groups, is that people don’t understand your struggle. This is to be expected. Fibromyalgia generally hits in the prime of life. So people battling fibro may look perfectly well, even though they feel as if they’ve just been hit by a truck. Fibromyalgia usually has no visible outward signs. However, my case was a little different. It came on so fast that within a few months I was barely able to walk. So I got plenty of sympathy. Now that I’ve gotten a lot better, I might have a hard time convincing someone who just met me that I’m battling a chronic illness. I look well. But inside my body is a raging battle. I’m not cured, by any means. But I’m living a pretty normal life again. However, if I deviate from my strict diet or do too much without resting, I pay. It’s like walking on a tightrope. I need to stay focused and not fall. It’s really important to watch what I eat and to make sure my stress stays at a reasonable level. Otherwise, I’ll likely be dealing with severe symptoms again. My body has recovered to the point where I’m not nearly as fragile as before. But my condition is always there, just below the surface. Here’s why I really don’t care whether my friends understand my disease. Or my family. Or anyone else for that matter. That’s because my energy is precious. So I don’t want to expend any of it on the impossible. Remember, no one can really understand unless they trade places with you. And we already know that’s not going to happen. Therefore, I don’t bang my head against the wall and wish people would just “get it.” Instead, I’ve just decided I’m going to enjoy their company anyway. I don’t expect them to fully understand. It’s not even worth my energy getting them to try. Some of my relatives are never ever going to understand what I live with either. That’s okay. I’m not going to waste my energy getting angry, or expecting them to miraculously understand my hidden pain. This doesn’t mean that they’re bad or uncaring. All it means is that they’re not living with chronic pain. But I am. So I try to carry on to the best of my ability. I honestly don’t think my husband really understands what I live with. However, he’s fairly laid back about the house. So I appreciate that. Sometimes I’m too tired to cook, and need to go to bed early in the evening. He’s good with that too. All in all, I could have a much more difficult spouse. So I’m very grateful that I don’t. The one time in recent memory this lack of understanding became a big problem was on a family vacation. We had taken a long plane ride, and were working on little sleep. My family wanted to hit the ground running. But my body doesn’t work that way. This was a difficult time, and I wish there was more understanding of my limitations. But, otherwise, I just accept the fact that those close to me aren’t going to understand. That’s because my energy is precious. I’ve decided it doesn’t matter at all, not one bit, if those close to me understand my struggle. That’s because I’ve learned not to expect much. Having big expectations invariably leads to disappointment. So it’s better to keep expectations realistic. This doesn’t mean not speaking up for yourself, or not letting people know when you can do something, because you’re not feeling well. It simply means not expecting them to totally understand your condition, because they’re not living it. Instead, all of my precious energy is funneled into staying well. I’m blessed by the fact my body has responded so well to diet changes and natural remedies. So I’m less concerned than ever about the fact that no one else is going to totally get it, because they’re not going through it. To anyone reading this, I wish you healing. I truly hope that you’re able to regain your health. I know it’s possible. I’ve done it and so have others. That’s part of the reason I created a course on natural pain management strategies. It’s filled with instructional videos and text modules, which explain exactly what I did to regain my health. I can’t claim that anyone who takes this course will see the same results. But I do hope it can inspire you to take some steps toward better health. Our bodies are designed to heal. For more information, click on the image below.